How to add account managers to my account? 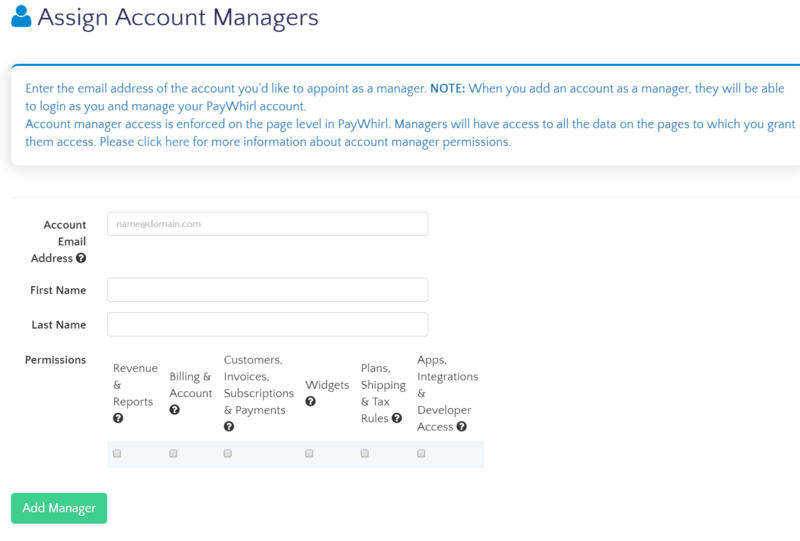 PayWhirl allows you to add account managers to your account so employees or other people can access your account without you needing to provide them with your login credentials. The account manager feature is only available to businesses on PRO or higher. 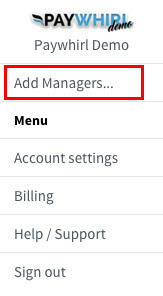 In the dropdown menu you will see a menu item that says "Add Managers..."
On the add managers page you can invite people via email to manage your account. You can even limit their permissions so they don't have complete access to the account. NOTE: Hover over the black ? symbol next to each permission option to see what it allows or restricts specifically. When you add a manager, the system will send them an email with instructions on how they can setup their own account and access the main account you shared. We recommend having the manager sign up for the free monthly plan called "Starter" as they will not need a paid plan to access your account, even if it's a paid plan. Once managers have their account created they can click on their name in the top left and will have the option to toggle between the main account and their own, which will be blank by default. 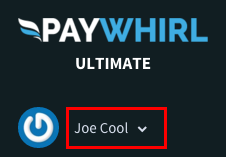 How to integrate PayWhirl's customer portal login with your website.